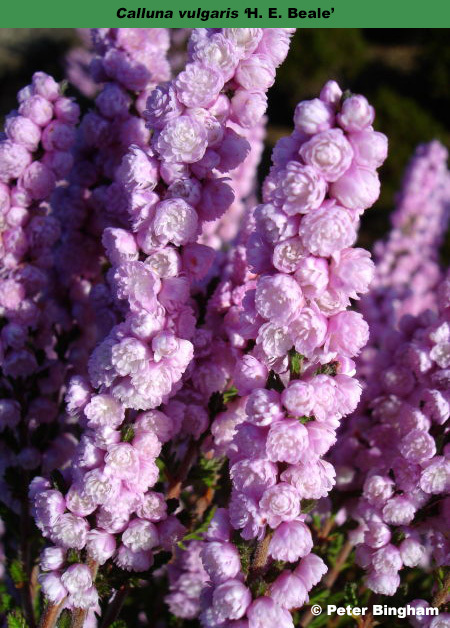 Double shell-pink (H16) flowers in long tapering spikes; Aug-Nov; dark green foliage turning a drab green- brown in winter; height 26–30cm; spread 46–60cm. Very free flowering and can be often found in garden centres at this time of the year. Found in the New Forest, Hampshire, and named after the director of the famous Maxwell & Beale nursery.